​Our customer's most beloved Mello, Still or Sparkling! An Eastern US twist on Prosecco - a drink that allows the sunshine to dance in the vineyard and field; this wine is created from a blend of Cayuga wine and Blueberries. Sweet and medium bodied. This conveniently capped 750ml package blessed with a slight "sparkle" (or frizzante) makes your next afternoon or evening a quick tasty pour away. 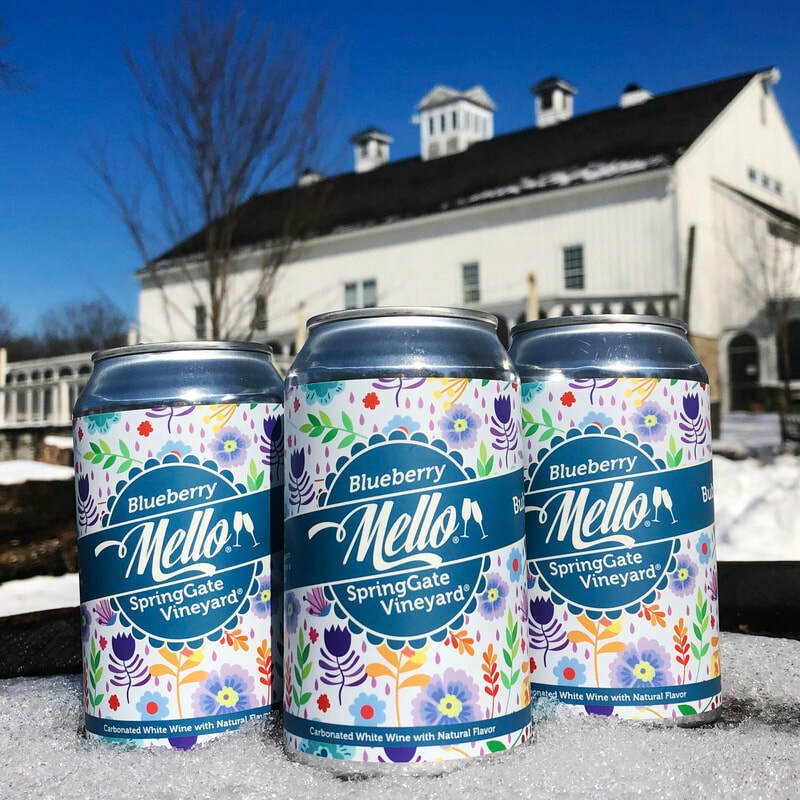 BUBBLY BLUEBERRY MELLO NOW AVAILABLE IN 375mL CANS You may purchase these by the single can or in 4-can packs! SpringGate Mellos are naturally fermented using either grape wine juice of carefully selected varieties, or raw, unpasteurized juice of fresh-pressed Pennsylvania Apples including our favorite old cultivars. Our unique fermentation, select wine yeasts and aging, stay true to the fruit, authentic flavors and tradition only present in fresh-pressed Eastern wine. Some of our customers like to put some addition kick into this convenient packaging by adding Vodka. A Brunch alternative to a Mimosa would be the Bubbly Blueberry with the traditional blueberry pancake! For something totally different Blueberry pairs well with Crab, so you might want to try one of Coastal Living's 39 recipes for Crab.